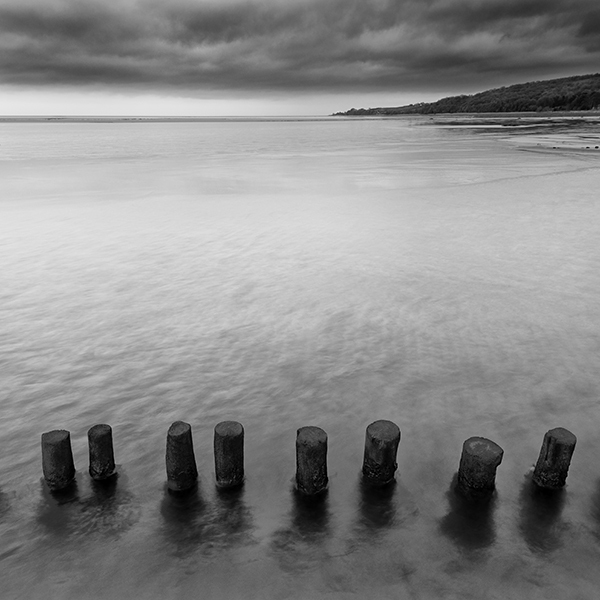 Pairs of timber posts in the water of Morecambe Bay at Bardsea. Photographed in January 2016. This is an area of Morecambe Bay that I visited a lot with my camera about 6 years ago and it was noticeable that these timber groynes are half the height above the sand that they used to be.